Empower Educate, & Enhance Your Kingdom. Reminding every woman and young Queens rising that She is always a Queen. When challenges arise. She Shall Rise. QRTM Supports and empowers underserved women and young ladies by providing a digital network hub that provides information, educational advancement opportunities, business resources, and awareness in achieving personal, spiritual, and business goals; increase in self accountability, and consistent positive mindsets. 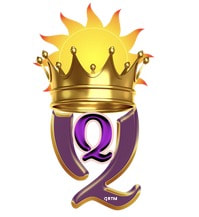 ​QRTM promotes positive self esteem and character by Empowering & Educating using Digital Media & Art, Business & Technology and Community /Social Activities and Events to Enhance the lives of women and young girls and be of positive influence to ourselves, and our male counterparts, in all aspects of our lives; which we consider our Kingdoms.